In my last year at primary school my world took on a new dimension. After the humiliation of the teacher realising that I couldn’t read the capital cities written on the board, I was rushed to the optician and fitted out with what I thought was a pretty groovy pair of purple spectacle frames. Mum agreed with me that really they were quite the thing. Next day at school I realised to my horror, my new bespectacled look was not the fashion accessory I had initially thought. In those days, the glass was thick set and the lens set in an oval frame accentuated just how short-sighted I was. It wasn’t long before I was attracting attention of all the wrong kind. “Four-eyes; goggle eyes” the boys would chant; one particular little horror knew he had struck a nerve when he sang out “boys don’t make passes at girls who wear glasses”. My school day fears came back to me this afternoon as our son erupted in tears, sharing stories about the actions of one of the boys after school. It made my heart pound and my temper flare as I connected the dots and suddenly made sense of a youtube clip that my boy watches almost every day. It’s a clip from a teenage duo called ‘Bars and Melody’ who have provided a moving interpretation of Faith Evans and Twista’s song, ‘Hope’. Why do you always hurt me and destroy my books? It’s timely as we lead into Bullying-Free New Zealand Week to remind ourselves that bullying can take many forms – physical, verbal, social, online, text. The Youth 2000 surveys, carried out in 2001, 2007 and 2012 by the Adolescent Health Research Group at Auckland University, have found little change in rates of bullying in our schools over the past decade, with the exception of cyberbullying which is on the rise. What we also know is that our tamariki who are bullied are more likely to be depressed, lonely or anxious; to have low self-esteem and to struggle academically; dislike school and miss classes; distrust peers and have problems making friends; and experience declined mental and emotional health. We need to have courageous conversations; to confront the bullies; to support our children as they tell us what’s on their mind, or show us in their silence that something is impacting on their wairua. Bullying-Free NZ Week 2018 starts Monday 14 May and ends on Pink Shirt Day Friday 18 May. I took a walk on the pier at Brighton this week to take the photo of this beautiful coastline. I’d been in New Brighton for a hui with Phil Tikao and Rik Tainui from the Positive Directions Trust. Positive Directions Trust looks after our Whānau Ora Navigator at Haeata – Adele Tikao. 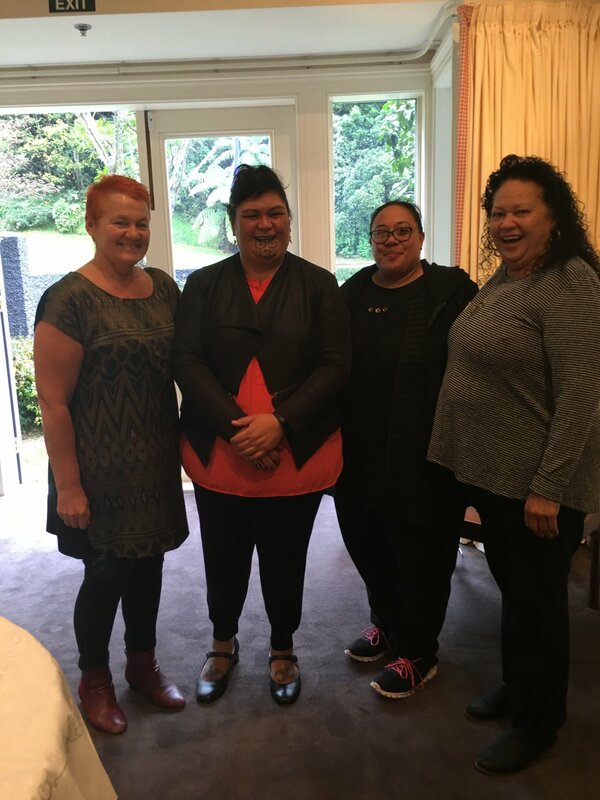 Adele works with the whānau of some of the students at Haeata – helping to provide support for them to determine their own pathways forward; to access resources if they need it, or simply to provide a listening ear. 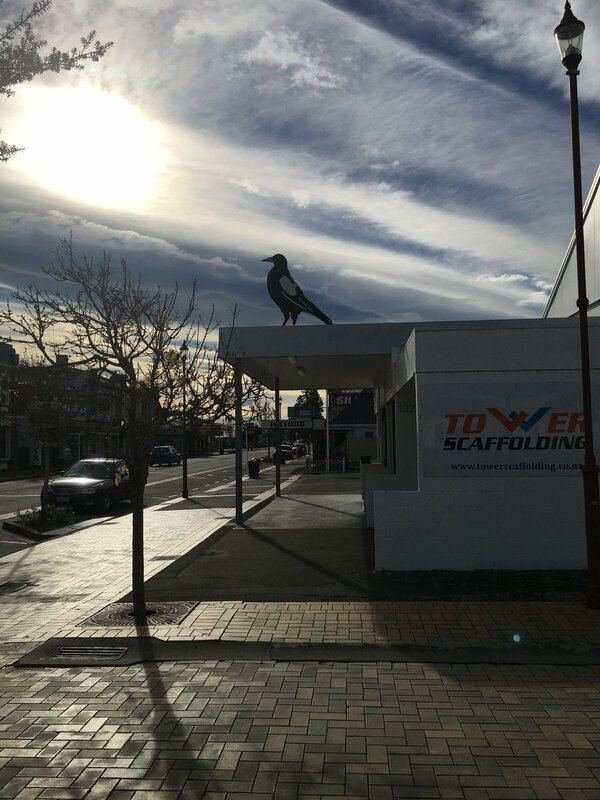 I quite liked this oversized replica of a magpie that watches out over the mainstreet of Temuka. I was there this week to catch up with Maria Parish of Arowhenua Whānau Services, which has both a Whānau Ora Navigator, and a Navigator Tinana – focusing on sports, fitness and overall wellbeing. Later that day we went out to Te Hapa o Niu Tirini – Arowhenua Marae – for our return hui: Tu Pono: Te Mana Kaha o Te Whānau. There is nothing quite as heartening as whānau identifying solutions, themselves, and making plans to achieve their own goals. There were some great challenges issued – how do we restore the responsibilities and the obligations of being whānau to make every mokopuna our business? The stories reflected back to childhood days and years gone by. Whaea Tariana talked about her memories of the staunch courage of Irihapeti Murchie; the Upoko Te Wera King, talked about his sadness at the reality of knowing the impacts of abuse upon our whānau. 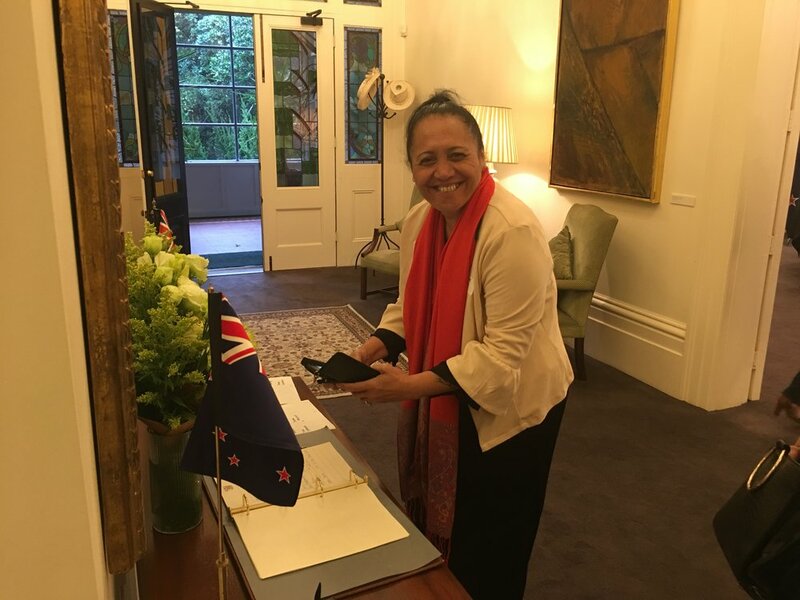 Violence was also the issue by which a number of us from Te Waipounamu sat in the Prime Minister’s House this week. 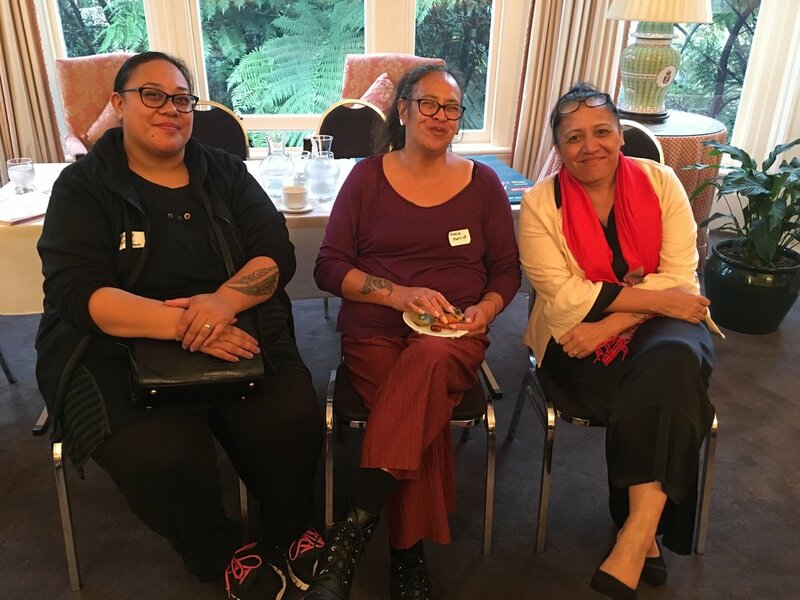 Sandy from Wairau; Beatrice, Marcia, Ariana and I from Otautahi, were invited to share our ideas around solutions and strategies to address Māori family violence. Once we had got over wondering whether the grand chandeliers were going to fall on our beautifully laden table, we settled down to work. We focus on ideas to grow leadership; how to normalise patterns of good behaviour. We need to call out the violation of mana: to acknowledge power and control dynamics between institutions, organisations and families; to recognise our own bias and to be prepared to change. One of our new entities Ngā Pakiaka Mōrehu o te whenua in the Wairau has launched their website this week. The name ‘Ngā Pakiaka Mōrehu o te whenua’ is a metaphor for the people of the land whose roots, like the indigenous forest are still firmly embedded in the soil. The primary goal of this project is to promote the unique status of Ahi Kaa who are the repositories of tribal history and knowledge of the ancestral lands within their iwi. They are holding wananga to ensure that the customary knowledge, traditions and values held by the existing Ahi Kaa are preserved and passed on to future generations. Congratulations are due this week to Whānau Ora Navigator in the Hurunui, Elaine Wolland, Degree of Psychology. TE MĀTĀWAI FUNDING ROUND FOR TE REO MĀORI REVITALISATION INITIATIVES – WHĀNAU, HAPŪ, IWI AND COMMUNITY FOCUSED. The very first Te Waipounamu Investment Round opened last month on Monday 09 April 2018 and will close at 5pm on Monday 14 May 2018. We wish to encourage you and your networks to register and apply if you are seeking funding to start your te reo Māori revitalisation journey or help to continue to strengthen your reo journeys. All applications will be assessed against our Te Waipounamu Investment Plan that aligns to the Maihi Māori Strategy. Tiki Taane has released a video, No Place like Home, to assist you in the practise of New Zealand Sign Language. NZSL Week raises awareness of New Zealand’s Deaf community and provides a platform for Deaf people to proudly promote their language and culture. NZSL is used daily by more than 20,000 New Zealanders. Our team came together across the hub to benefit from a ‘taster’ experience of learning sign. It looked like a fabulous way to learn another one of New Zealand’s official language. If you know of socially responsible businesses or social enterprises that would want to enter, let them know applications are open from 7 May until 18 June. All entries and nominations are submitted online through the Champion Canterbury website www.championcanterbury.org.nz. This week I met with Suran Dickson, about the New Zealand LGBTI Awards which are being held in Auckland in late November. I went to an interesting seminar the other night where Grainne Moss, Chief Executive of Oranga Tamariki spoke about the long game we need to play in order to ensure every child is loved. She shared some of the reflections of young people in care who reflected that “we were only one loving adult away from success”. Grainne challenged us all to follow the late Sir Peter Blake’s example : to channel passion into action, to focus on the campaign of the child to build trust and goodwill. The hui is to bring together Oranga Tamariki and its partners to hear what Oranga Tamariki has achieved in its first year, and what’s ahea and discuss how we can work together effectively to meet the needs of children and families into the future. Finally, in honour of our mothers, have a listen to Stan Walker’s tribute to his mum, simply called ‘thank you’. No matter how many times I hear the song, I think of my mum and all the things I wish I had said or done. Cherish our mums, our aunties, our nans, our taua – and show them thank you in your own special way.